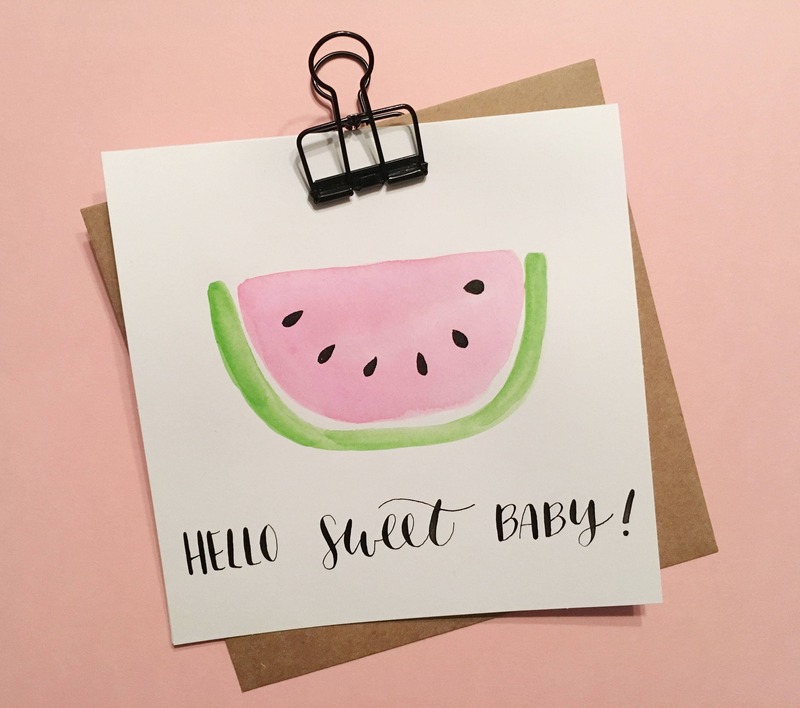 This OH SO SWEET handmade card (no prints here) measures 5.5 by 5.5 inches. 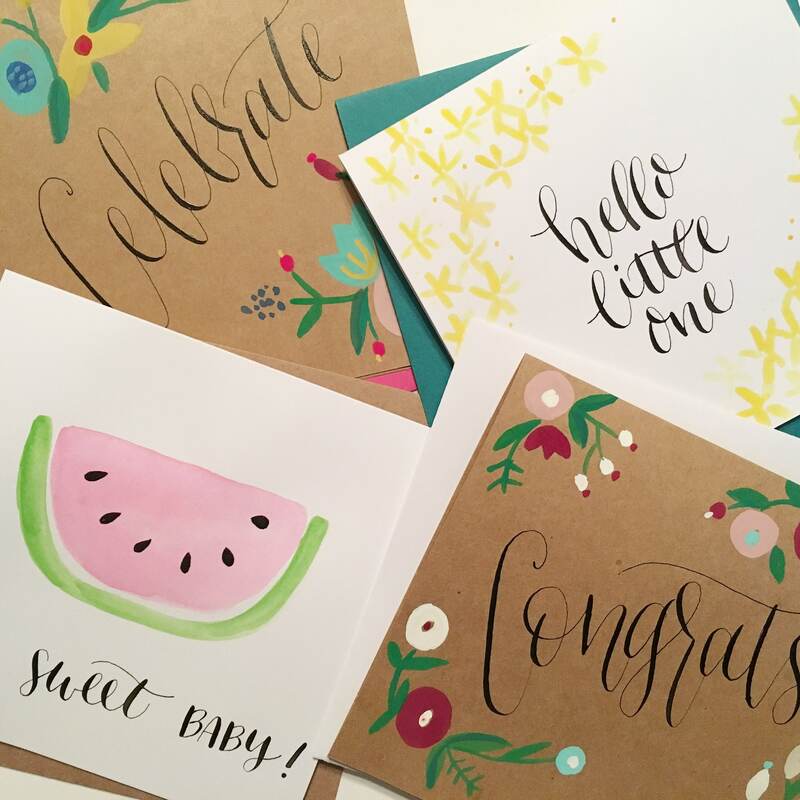 It's made upon ordering with black calligraphy and watercolor paint on sturdy white cardstock. The card comes with a kraft envelope and will be delivered in a plastic protective wrapper. Card is blank inside.